If they were, then there would be fewer bad ones. When Chicago police officer, Jason Van Dyke, shot and killed Laquan McDonald last year, the other officers present corroborated his story that McDonald posed a threat. There are even allegations that they intentionally erased security camera footage from a nearby Burger King. But when the dashcam video was made public last month, those who clamored for "all of the facts" changed their tune: PTSD. It certainly fits the traditional narrative. Earlier this year when Dylann Roof shot up a black church, his actions were ascribed to mental illness--a "lone wolf." Which is interesting because black and Middle Eastern aggressors are usually called "thugs" or "terrorists", respectively. For them, the blame assigned by our white majority nation transcends the perpetrator and is seen as part of a larger, societal problem. Black shooters are said to come from a culture of fatherlessness and Middle Eastern shooters from a culture of violent religion. In other words, the whole demographic is called to account for the wrongdoings of a single individual. Not so in the case of white shooters. Lone wolf status means that individuals like Jason Van Dyke acted independently of their given demographic (conveniently white) and are thereby not reflective of it. Which is another way of saying that said demographic bears no responsibility for their actions. He's what many would call a "bad cop." He's not a law enforcement archetype; he's a single, rotten apple. Human history can confirm that no matter how hard any culture or society tries, rotten apples will always turn up. But they're usually a minority. Therefore, most police officers are "good cops" sacrificially serving and protecting as expected and required. And lumping all cops in with the likes of Van Dyke is not only illogical, it's discriminatory. Fair enough. No one should compare the average cop to a child killer like Van Dyke any more than someone should compare their least favorite political candidate to Adolf Hitler. However, just because most Germans at the time didn't engineer genocide plans or build concentration camps, that doesn't make them all automatically good people. It's a false dichotomy to say that since a person isn't this bad, then they must be good. For example, "the facts" indicate that the other officers present falsified reports and likely tampered with evidence. None of them drew their weapons or fired a single shot so, no, they're not bad cops at the same level as Van Dyke. But they're certainly not good cops either. They're accomplices. And that makes the lone wolf rhetoric even harder to accept. If he's such a rotten apple, then why did they break the law to protect him? Furthermore, if these bad cops are so rare and isolated, why have there been multiple accounts of fellow officers corroborating faulty stories (remember Walter Scott)? Whenever patterns like this emerge, it means that we're dealing with a system. And that system is colloquially known as the blue wall of silence or the blue code. 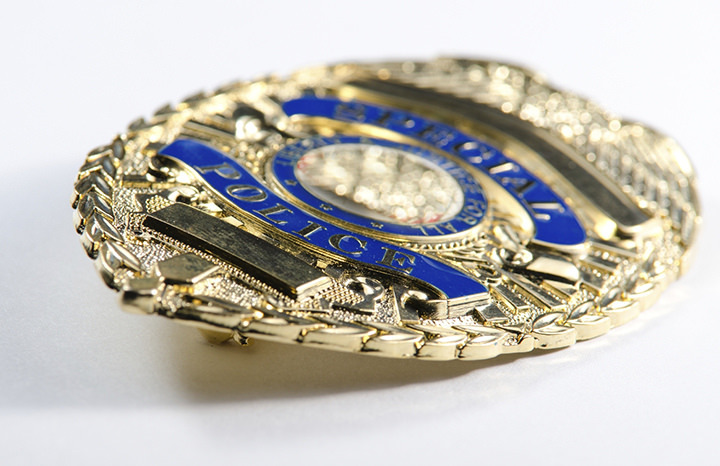 It is an unwritten code that discourages the reporting of officer misconduct. Some say it's a myth or an exaggeration but even Chicago mayor, Rahm Emanuel, acknowledges its existence. This goes beyond cover-ups. It means that cops are turning a blind eye when a fellow officer roughs up a suspect. It means that any cops who know about what Van Dyke did haven't and won't speak up. They might not be accomplices, but their silence makes them complicit. Of course, speaking up has its consequences. When Baltimore detective, Joe Crystal, reported a brutality cover-up he had witnessed, he endured months of harassment by fellow officers and was even encouraged to transfer by the local FOP president. Multiple departments refused to take a snitch like him, and even when one finally did, he still endured hostility including a dead rat adorning his windshield. But when they launched a federal probe against him for being rear-ended in a company car, he finally resigned and left the state. Joe Crystal didn't have to die to lose the life he had. But instead of nobly losing it for the sake of the innocent (for those he was called to serve and protect) he lost it at the hands of self-serving corruption. Putting your neck on the line in every situation is part of the job description, and it's precisely what makes the very few people like Crystal truly good cops. Because if you know the right thing to do and you don't do it, that makes you a bad cop. Overall good! But I do want to use the mad skillz I've learned as an adjunct lecturer of English 112 and check something you say. "For them, the blame assigned by our white majority nation transcends the perpetrator and is seen as part of a larger, societal problem." This is a statement that can be said with equal confidence by myself and a FOX News commentator. The difference is that I would say the societal problem is at the hands of the white/majority culture and our systemic oppression while the FOX News commentator would say it is inherent within the race/minority. You do get to clarifying that; however, I think you should get there sooner (plus, as it stands, it's not very quotable). Lead with the important piece of information! Well said. I can always be clearer and make my points sooner.